A typical representation of the Petrohrad style. 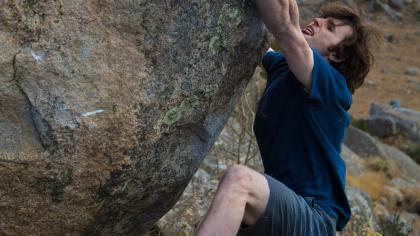 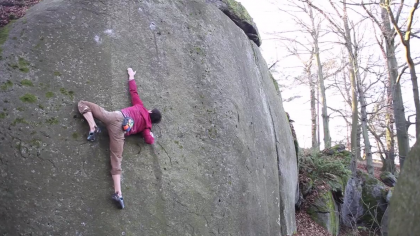 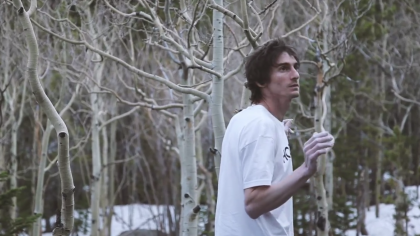 Alex Gorham stretches to get his fingertips onto the next crimp of this slabby boulder problem. 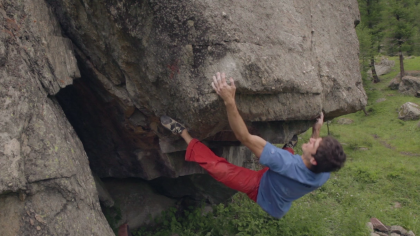 Compression problems aren't everyone's idea of a good time, but Marcello Bombardi digs deep on this Levi Molinari test piece. 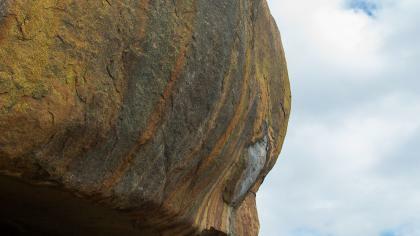 Access points are one of the keys to any good deep water soloing crag. 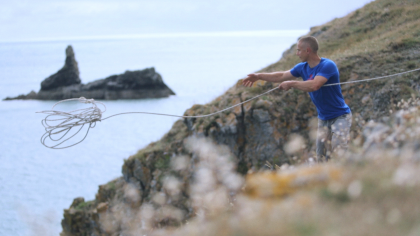 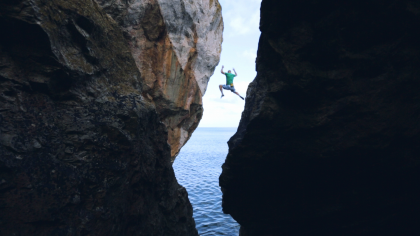 Neil Gresham throws out the rope for an exploratory rappel on one of Berry Head's trickier-to-reach routes. 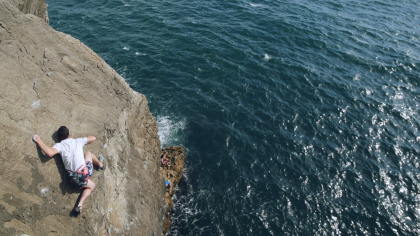 This Swanage classic is only 6c but the top gets slabby and technical and it will send you for a swim just when you think you're safe. 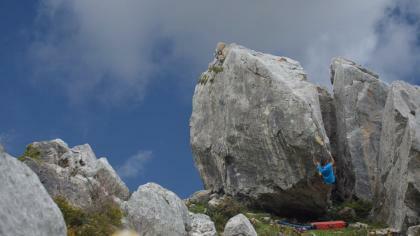 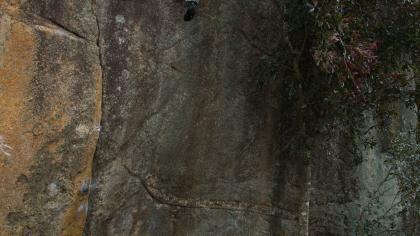 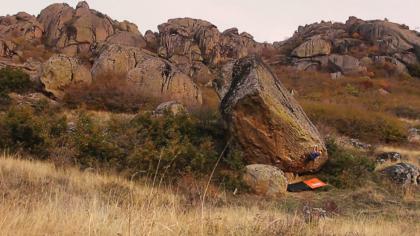 Dave Graham mentally rehearses the crux moves of 'The Phoenix' (8B+/V14) ahead of his next attempt to climb the line.